Pregnancy is a wonderful and at the same time, a very important period in a woman's life. Despite the fact that pregnancy is not a disease, it requires medical monitoring. It affects the health of the expectant mother and her baby. Specifically for pregnant women in Moscow there are many women's clinics, in which the woman and her child watched from the first weeks of pregnancy and to the birth. Here they get medical documents for hospital and sick leave for maternity leave. Insurance and copies of all passport pages. Select a fertility clinicthat you want to stand on the account. It can be near to your house or work or any other place. If you are registered in another district of Moscow or even in another city, this is no reason for denying surveillance. By law, a pregnant woman can attach to any antenatal clinic. If the policy of OMS to all doctor visits, tests and examinations will be free. Write the name of the head of the statement on the attachment to this antenatal clinic. Attach all the necessary documents. 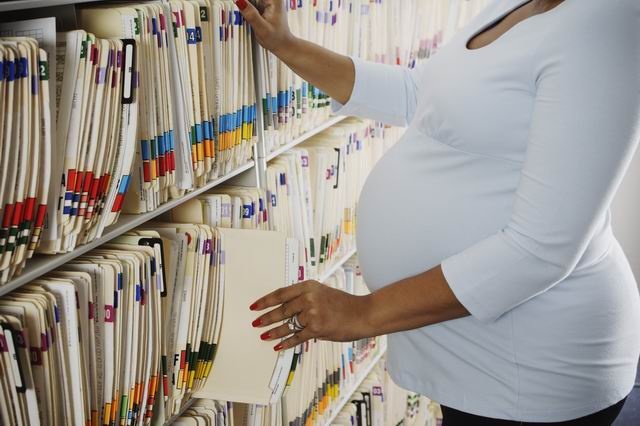 If you have been watching your pregnancy other medical facility, bring out the extract from the patient card and proof of withdrawal from the account. Make an appointment with the doctor. Do not put off the first visit on late terms, statement on the account in the first weeks of pregnancy may help to detect a problem and take action to address them. Take the doctor's directions on tests, ultrasound and consultations of specialists. After you complete all the assignments and bring results, you will determine the period of pregnancy and make an individual map of the pregnant woman. The date of issuance of this card is the date of statement on accounting. Get the doctor certificate on statement on the account till 12 weeks of pregnancy. This document gives an opportunity to draw a lump sum. If you stood on the account at a later date, the allowance is not paid.